Slice the cabbage finely with a thin slicer in a food processor or with a sharp knife. Take this cabbage in a microwave safe bowl and add little water. Cook this cabbage in a microwave oven on high power for 5 minutes. Stir with a spoon and microwave again on 30% power for 7 minutes. As we are using very little water, we need to cook in microwave for a longer time in 3 intervals. Stir once again and microwave again on 30% power for 5 minutes. Give standing time 5 minutes before removing it from the oven. After cooking the cabbage spread it in a plate to cool. Take the coconut and cut it into small pieces. Grind the coconut pieces in a dry mixie to get grated coconut. Wash & clean green chilies & ginger and grind them to a coarse paste. Wash Curry leaves and chop them finely. Heat a pan and add oil to it. When oil is hot add Bengal gram, black gram and fry well. Fry till the seeds change color. Then add mustard seeds and cumin seeds and fry till the seeds splutter. Add the chopped curry leaves and coarsely ground chili-ginger paste and fry well. Add turmeric powder and mix once. Add the water removed cabbage to the pan and mix. Add salt, mix and cook for few seconds. Then add grated coconut and mix well. Transfer this curry to a serving bowl. 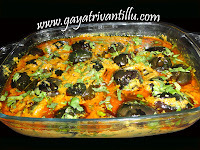 Serve with hot rice and curd chilies as accompaniment. While grinding the coconut in a mixie, ensure that the mixie jar is dry. When the mixie jar is dry you get finely grated coconut. When the mixie jar is wet, the coconut gratings get stuck to the wet jar and we will not get finely grated coconut. 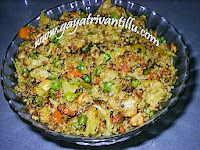 One can use fried cashew nuts also in this dish for taste enhancement. love your receipes thanks for sharing but in your cabbage kobara kura you did not mention if it was dry or fresh kobara? అమ్మ చేతి వంటను గుర్తుచేస్తూ ఉంటే అభినందించకుండా ఎలా ఉండగలం? i like your website very much. its very good combination of traditional and modern. I am gayathri. 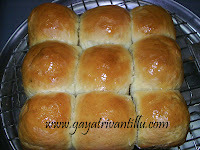 your way of teaching the recipes are very good and getting interest about cooking. Can you pls host the theepi avakaya. (Bellam avakaya). I have tried your dum aloo. Every one liked that.